Okay, we'll own up here and admit we really didn't want to go to the trouble to review the Sunny Rowing Machine, but we get a stack of emails asking for our view so we put out the feelers and here we go. We were careful not to have any pre-conceived ideas about a model costing around $100 - but we have to say we weren't surprised by what we saw. Let's start with the first thing that hits you when you sit on it - the uncomfortable seat. It could really do with another inch of padding and at least some shape. Many budget rowers come with a molded seat for added comfort, but when something like this sells for just a hundred dollars, corners have to be cut. 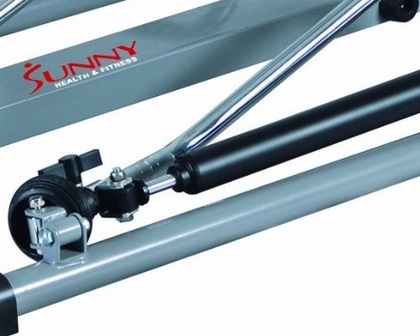 In common with most budget rowers, this is a hydraulic resistance machine. And in common with most hydraulic machines this doesn't make for an easy row. The long pistons on the Sunny and the housing mechanism mean the resistance is virtually non-existent on the first part of the stroke, and then it kicks in around half way, This makes it difficult to row at a high stroke rate and many will find this frustrating. Pistons are unreliable when it comes to providing a smooth and consistent resistance. As the temperature of the fluid changes so does its viscosity. The other resistance methods all offer a better way to resist your muscles - but they usually come at a price. When you do start rowing and overcome the erratic resistance this machine squeaks and creaks which can become annoying - even if you're listening to music. Unusually for a low-priced model, the Sunny is better if you're taller than 5' 7". If you're shorter than this you'll find it difficult to reach and operate the display unit. The other unique feature of this model is that it's under 8 inches high. But this isn't really a positive. We had a number of reviewers state it was a struggle to get up from such a low seat after rowing - one joked he got more of a workout from getting off it than rowing on it! Now onto the build quality. 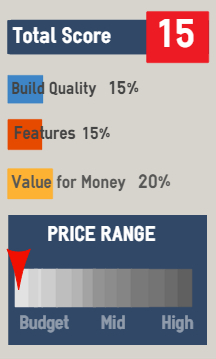 Again, we have to remember it's only $100 (which means it's probably manufactured for less than $50) but even so, there's no excuse for poorly fitting parts and bits that come loose or fall off. It's very, very basic but it does tell you how long you've been rowing, how far in meters (a number of budget rowers don't tell you this!) and how many calories you've burned - although it's unlikely to be too accurate. 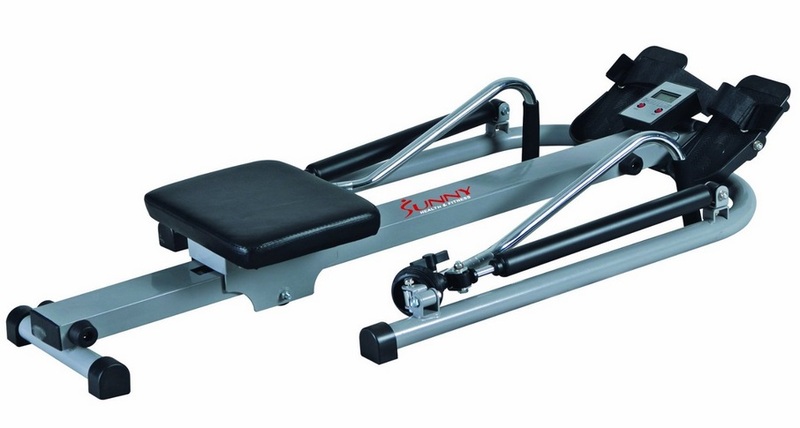 Hats off to Sunny Health and Fitness for trying to bring home fitness equipment into the reach of more people with this model. But in our view it's still a waste of your money. Maybe, just maybe if you're very unfit (and under 220lbs) and only have a few bucks to spare, this might be okay, but we really can't think of any other reason to recommend this machine. Without sounding too cruel - anything but this is worth a look. 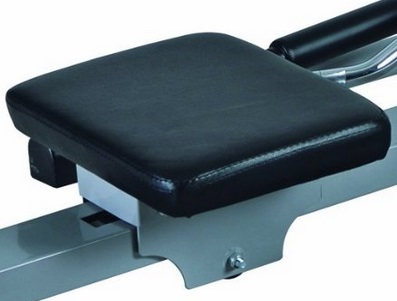 But seriously if you're on a budget the Trac Glider is a much better machine for around $50 more. If you can stretch a little more.the Avari Easy Glide is another one to check out. But if you're thinking about training for long periods, you need to spend a few hundred dollars more. Do you have a Sunny? Anything to say in its defense?